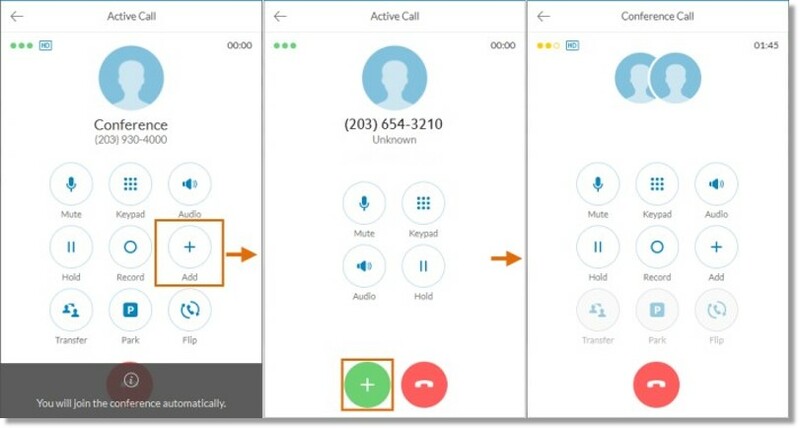 This article demonstrates how you can start a conference call via the AT&T Office@Hand Desktop app. You can immediately start a Conference Call by clicking Start Conference on your AT&T Office@Hand Desktop App. On the Conference screen, click Start Conference. You can also start a Conference Call from a Group Message invite by clicking the “Conference” button. Click the Messages tab, and then click the Messaging group where the invite was sent. QUICK TIP: You can click the Text tab under Messages to view text messages only. Click the Start Conference button. 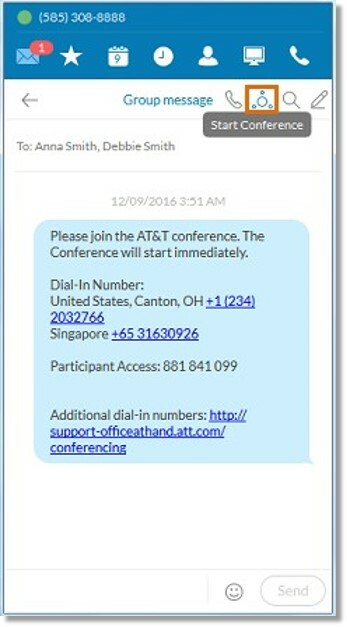 Note: The AT&T Office@Hand Desktop App will resend the Text invite to the group when you click the Conferencing button. 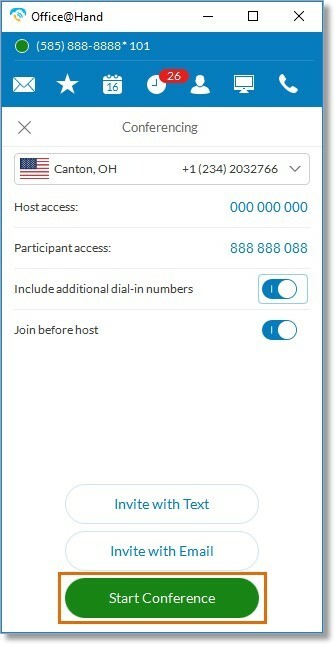 The AT&T Office@Hand Desktop App will immediately dial the conference number and will automatically enter your Host Access code. QUICK TIP: To add a Conference Participant during the conference, click the Add button, and then dial the number of the participant that you wish to add. Once you have the additional participant on the line, click the green Add button.